She represents a new breed—the complete, thoroughly modern package. Wearing stunning gowns chosen specifically to match the repertoire she is playing, she has cultivated a persona of visual beauty as well as musical brilliance. He has likened his start-and-stop rhythms and rapid-fire exchanges to video games, YouTube playback, and other digital-age phenomena. It is a voice singularly his own. The Finnish maestra became music director of the Helsinki Philharmonic this season and led major debuts with U.S. orchestras. She becomes principal guest conductor of the Los Angeles Philharmonic next season. 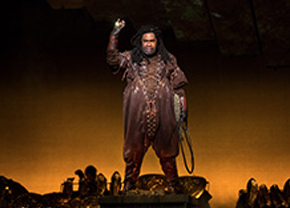 The American bass-baritone stole the show as Alberich in the Met’s Ring in 2010, and last October scored as Wotan at Chicago’s Lyric Opera. 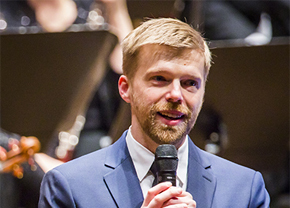 Last season he was the New York Philharmonic’s artist-in-residence. 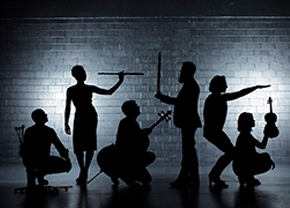 Two decades old, this Chicago-based, Grammy Award-winning ensemble is highly esteemed in the new-music ecology for its openness to all contemporary styles, including those with a pop-music pedigree.